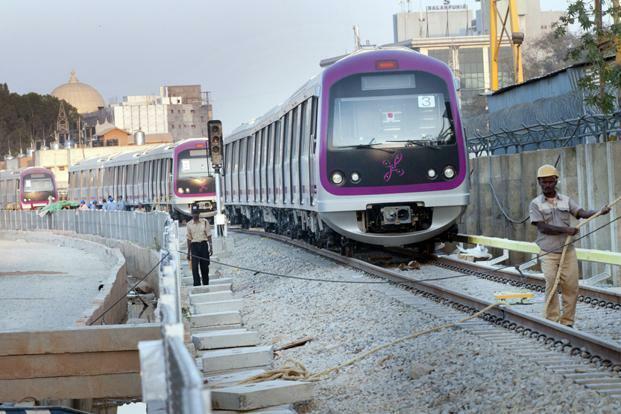 L&T Construction has secured orders from Bangalore Metro Rail Corporation Ltd for the design and construction of the phase - 2 works. The project is to be completed in 42 months. Bangalore, Metro Rail News: Heavy Civil Infrastructure Company, L&T Construction has secured orders from Banglore Metro Rail Corporation Ltd for the design and construction of the phase – 2 works. The project is to be completed in 42 months. said Larsen & Toubro (L&T) on March 6, 2019. However, They did not provide the exact value of the contract; but as per its project classification, the value of the contracts was in “large” category which is in the range of Rs 2,500 to Rs 5,000 crore. According to statement, The scope of second phase work includes construction of underground structures (tunnels and stations) 2.76 Km (approx) long from Vellara Junction station to Shivajinagar station and three underground metro stations at Vellara Junction, M G Road and Shivajinagar on the Reach-6 line . The scope of work also includes design and construction of under-ground structures (tunnels and stations) 2.884 Km (approx) long from Shivajinagar Station to Tannery Road Station and two underground metro stations at Cantonment and Pottery Town on the same metro rail line. The company added. Shares of L&T were trading 0.65 percent up at Rs 1,315.20 apiece on BSE.